The U.S. Senate on Tuesday unanimously passed a resolution offered by Senators Bob Corker (R-Tenn.) and Lamar Alexander (R-Tenn.) condemning the deadly attack last week in Chattanooga and honoring the five service members who lost their lives. 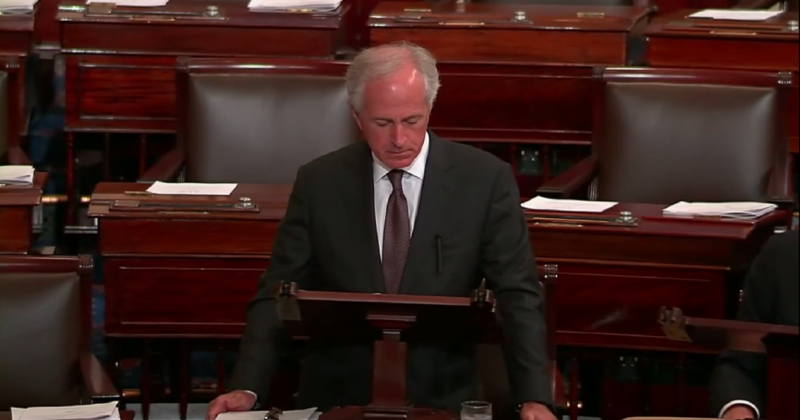 The U.S. Senate has passed a resolution offered by Tennessee Senators Bob Corker and Lamar Alexander condemning the brazen attack on two military facilities in Chattanooga and honoring the five servicemembers who died as a result. All 100 members of the Senate co-sponsored the bill, which was passed unanimously. "I think as the nation has learned about these individuals carrying out what many would consider to be mundane activities in support of our U.S. military, those who protect us I think as they have gotten to know these individuals, they understand the greatness that they symbolized," Corker said. "Most of them having served in Afghanistan and Iraq. And some of them younger just beginning their careers. But all having excellent backgrounds and exemplifying the very best that America has to offer. "Our nation mourns, our community mourns, as we have lost five of our greatest," Corker said. Corker appeared to become choked up and paused as he started his remarks. Alexander said the word he would use to describe his reaction upon hearing of the shootings on Thursday was "heartbroken." "Heartbroken for the lives that were lost, heartbroken for the families who are remaining, heartbroken for the community of Chattanooga," he said. He quoted former U.S. President Ronald Reagan, who helped mourn nearly 300 Marines who lost their lives in the bombing of a barracks in Lebanon. "They will never grow old, they will always be young, and we know one thing, that with every bit of our thinking they are in the arms of God."